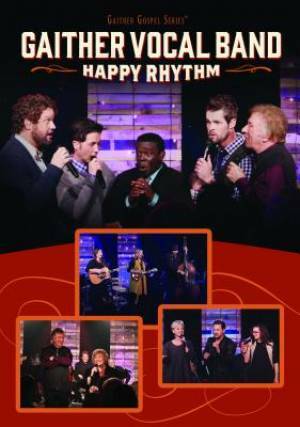 Happy Rhythm DVD brings you another collection of dynamic harmonies and passionate lyrics from one of the most celebrated artists in Christian music - the legendary Gaither Vocal Band. Here the newly reinforced 5 voice line up delivers an all-new DVD recording featuring group members Bill Gaither, David Phelps, Wes Hampton, Adam Crabb and Todd Suttles. Recorded in an intimate, rustic setting just south of Nashville, the video includes interview footage with the group as well as guest performances by The Martins, The Isaacs and Buddy Greene. Happy Rhythm DVD by Gaither Vocal Band was published by Gaither in November 2015 and is our 6761st best seller. The ISBN for Happy Rhythm DVD is 0617884912994. Be the first to review Happy Rhythm DVD! Got a question? No problem! Just click here to ask us about Happy Rhythm DVD.